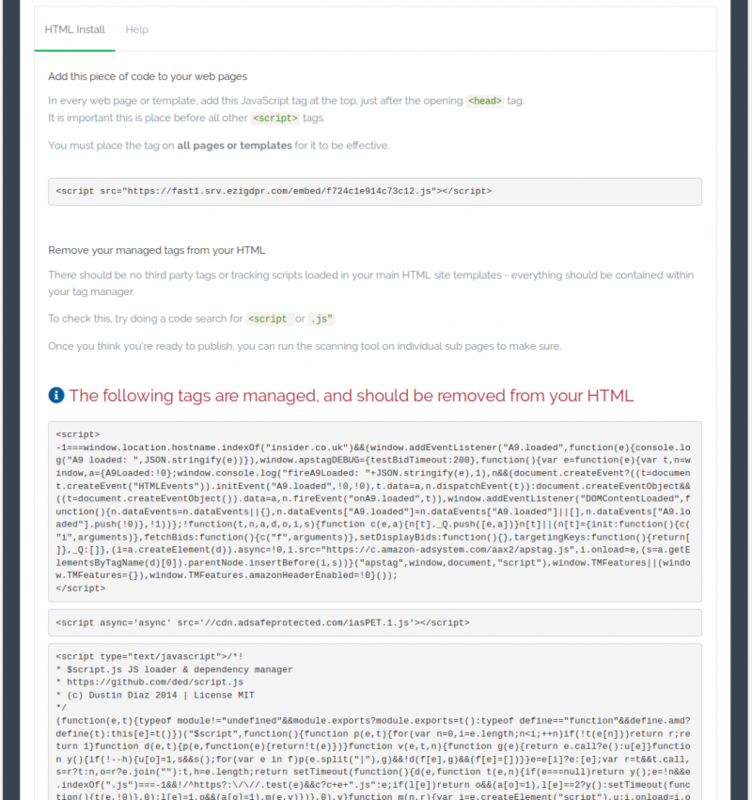 Our GDPR Compliance Kit will take care of GDPR consent for your website, you just have to remove the HTML tags we manage from your templates. Once you've completed your free GDPR website check, followed the links to get the Compliance Kit, and added your basic account details, you will see a list of the various script tags, tracking pixels and other elements we found on your website that may need opt-in consent to become GDPR compliant. Don't worry if this looks confusing - you don't need to understand it, because we do! 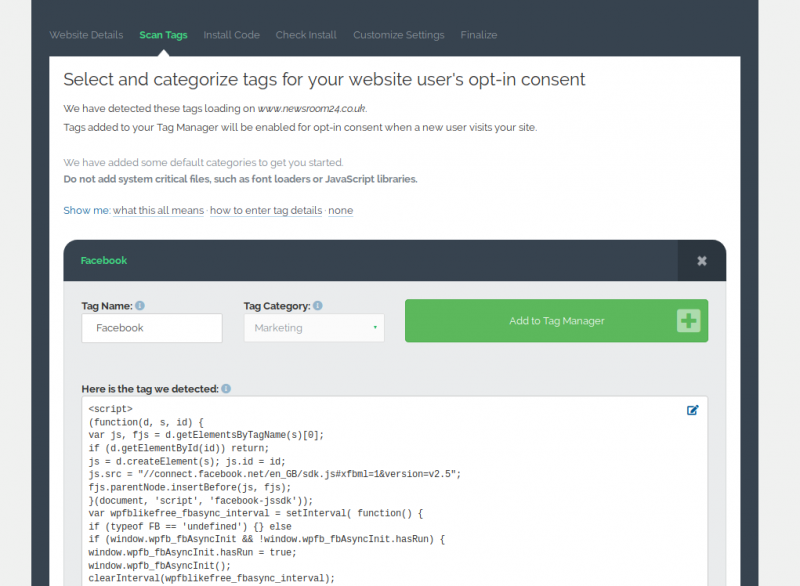 Following the instructions provided in the article How to check my website's GDPR compliance, add the tags to be managed to your tag manager and proceed. The highlighted sections of code shown above are the ones you need to find and remove from your website templates. Note: when searching for text of any kind in files, it can be faster to pick a small, unique looking substring to search for. For example, in the second entry above, it is unlikely that "cdn.adsafeprotected.com/iasPET.1.js" will be present anywhere except in the code we want to remove, so we could just search for that. Now here's how we find the code.